In the ecommerce world, marketers are constantly on the hunt for new ways to promote their stores while lowering time and effort investments and boosting ROI. In recent years, advertising on Facebook has become one of the most popular ways to do just that—and for good reason. Facebook ads are overwhelmingly effective. So much so that 44% of consumers say Facebook influences their shopping choices. And 26% of Facebook users who click on Facebook ad, go on to ultimately make a purchase. Advertising on Facebook is so effective for ecommerce businesses because Facebook’s algorithm and robust targeting options do most of the heavy lifting for advertisers—enabling you to spend your budget on only those users who are a perfect fit to become customers. All you need to do is develop an understanding of the best types of Facebook ads for your business. The 3 types we’ll chat about today work well for ecommerce businesses of every kind. One of the biggest benefits the rise of social media has brought for businesses of every kind is readily accessible social proof. Simply put, social proof uses the experiences and endorsements of regular, every day users of your products (instead of, say, a celebrity spokesperson) to bolster your brand’s authority. Since more than half of all consumers surveyed say social media affects their shopping choices, Facebook ads are the ideal place to pull in social proof like testimonials. If you use Facebook regularly, you probably see this type of ad in action several times a day. Ecommerce brands know that consumers are a lot more likely to trust other consumers than they are to trust the brands themselves. 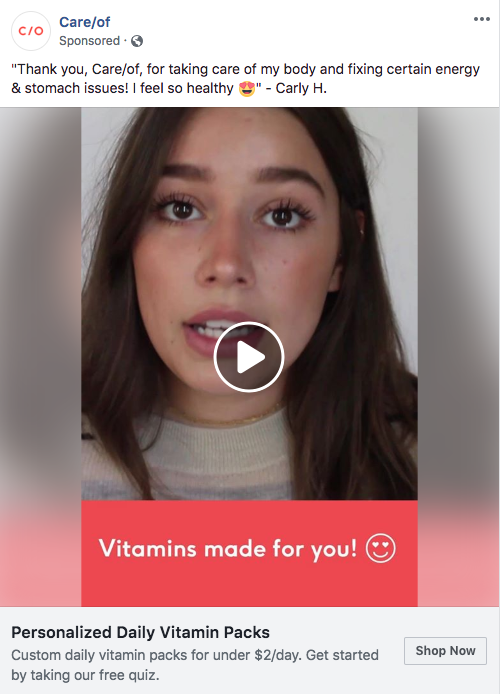 That’s why you’ll see video and text ads leveraging testimonials, positive reviews, and influencers who share their experience using a product. Engagement. Whether consumers enable autoplay or not, video ads on Facebook have some of the highest engagement rates. Video content doesn’t just broadcast to users, but draws them in and entices them to keep listening. Trust. Product reviews and testimonials are trusted 12x more than any product information that comes from the manufacturer or seller. Once your product catalog syncs, you can create subsets called Product Sets that are highly targeted to a particular geographic location, demographic, or buyer persona. The biggest benefit of Dynamic Ads is that all you have to do is create the campaign, and Facebook takes care of the rest—showing the right products to the right users and updating as your product catalog grows or changes. Dynamic ads also enable you to showcase multiple products and options in each ad, instead of a static image of just one product. Brilliant Earth is an online jewelry retailer focused on using only sustainable and ethical materials. 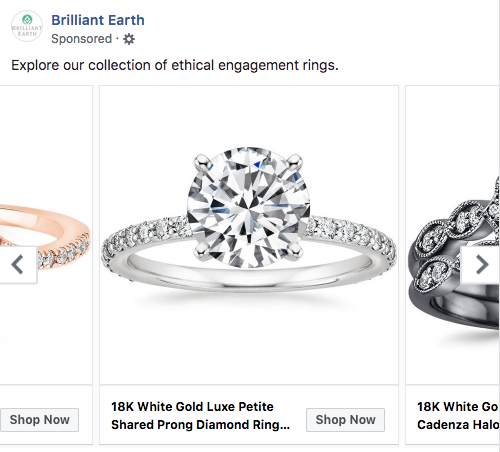 Dynamic ads work well for them because jewelry (and specifically engagement rings, as pictured above) are highly subjective. Because they also tend to be high-ticket purchases, consumers spend more time researching. Brilliant Earth combines dynamic ads with intelligent retargeting to ensure they’re never far from the consumer’s mind. The carousel. Showcasing multiple products and options in one ad helps Brilliant Earth highlight the variety they offer—appealing to the subjective nature of the jewelry business. Retargeting. By using the Facebook Pixel to provide insights from users’ behavior on the Brilliant Earth website, they can create additional product sets that hone in on each user’s preferences. Offering consumers exclusivity—especially in the form of a discount—is a surefire promotion tactic for every medium. 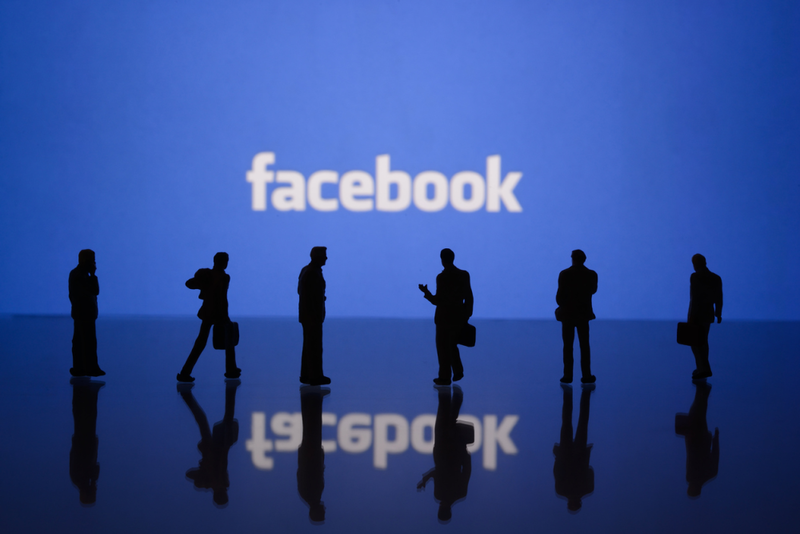 Facebook Ads take it a step further by eliminating any friction that stands between consumers and the order confirmation page. When you promote exclusive sales and discounts on Facebook, users can claim that discount directly through the ad on Facebook. That means when they click through to your website, there’s no worrying about whether they’re seeing the promotional price or the regular price, or remembering to enter a promo code during checkout. Eliminating friction means fewer consumers fall off somewhere between showing interest in your product and ultimately buying something—meaning you see more sales. 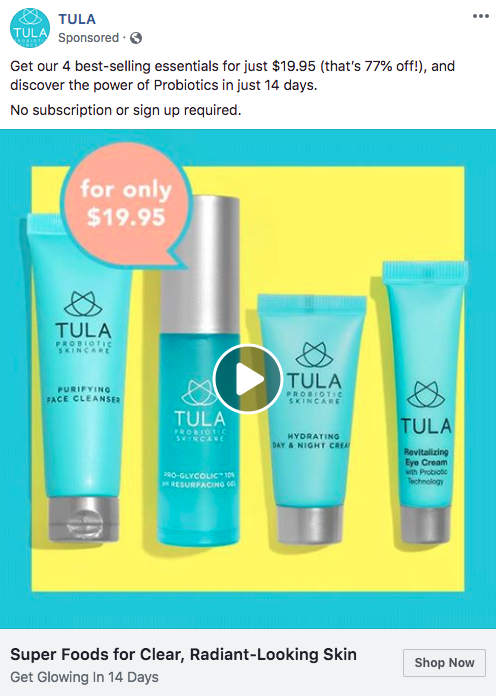 TULA is an all-natural skin care company and another avid user of Facebook Ads. As a relatively new company, their promotion is focused on raising awareness of their products and convincing people to give them a try. That’s why exclusive discounts and offers are their method of choice. Exclusivity. When consumers feel like they’re getting something exclusive, something not everyone has access to, that’s a big motivator for them to buy. Emphasizing this exclusivity and limiting the discount to Facebook users helps TULA convince users they can’t afford to pass up this offer. Emphasizing the discount. Discounting is always a guaranteed way to get new customers to give your product a try. What TULA does well is highlight how big of a deal this exclusive discount is (see “that’s 77% off!”). Facebook advertising has grown in the last couple years—in both popularity and the options available to ecommerce marketers to sell their products on Facebook. From their Awareness, Consideration, and Conversion campaigns to dynamic ads that automatically update with your product catalog, advertisers have everything they need to craft compelling ads. And by drawing on Facebook’s finely-tuned algorithm and extensive targeting options, you can stretch that advertising budget and grow your bottom line. ©2019 3dcart Shopping Cart Blog. All Rights Reserved.